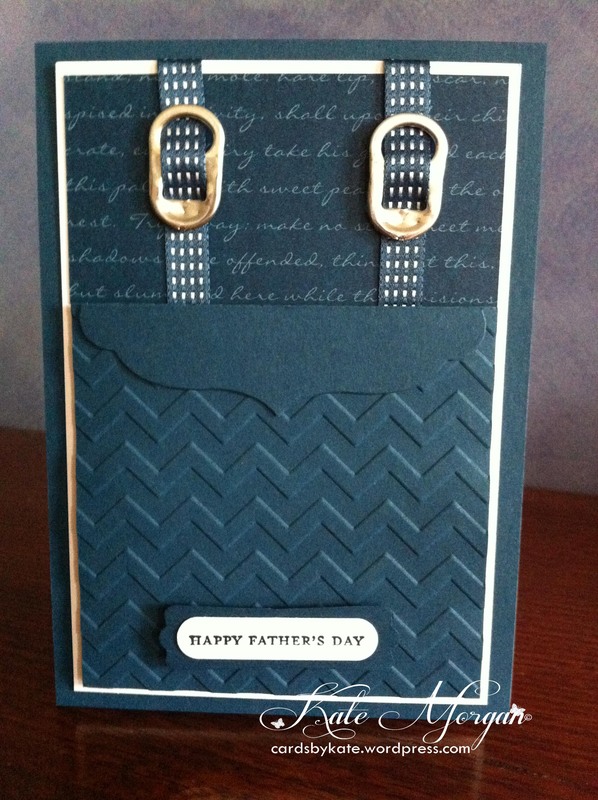 Here is an early Father’s Day Card- I saw this idea some time ago and have wanted to give it a try! Can you guess what the metal on the braces are??? 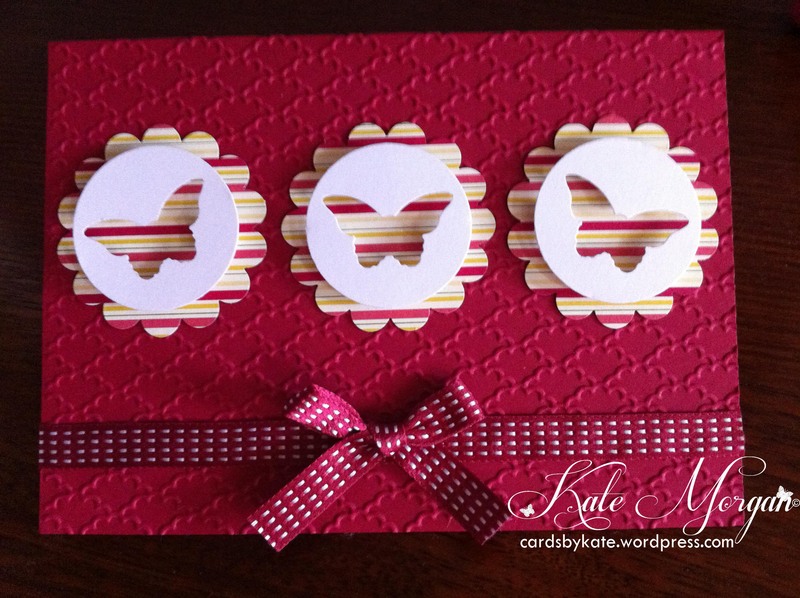 very simple embossed background (Fancy Fan) and punched bitty butterfly, circle and scallop circle punches. 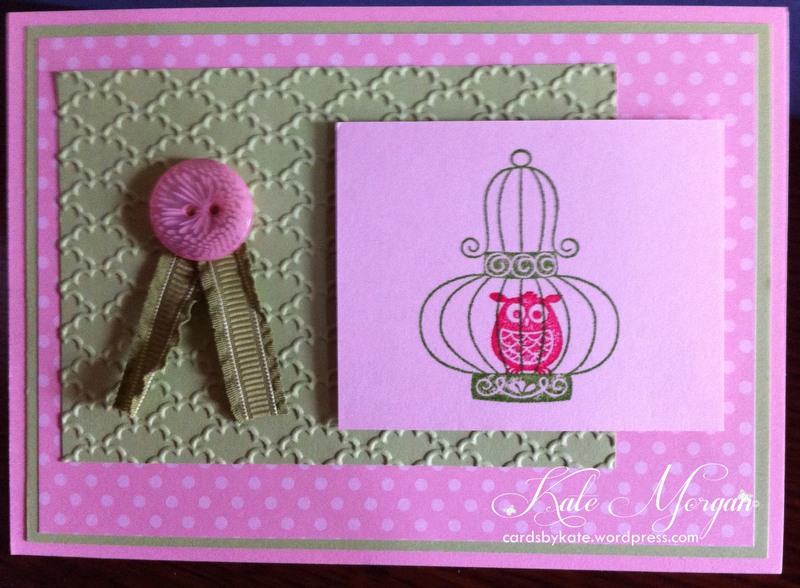 Tagged Aviary, Fathers Day, Print Poetry DSP, Raspberry Ripple, Stampin' Up!